[vc_row type=”in_container” full_screen_row_position=”middle” scene_position=”center” text_color=”dark” text_align=”left” top_padding=”25″ bottom_padding=”25″ overlay_strength=”0.3″][vc_column column_padding=”no-extra-padding” column_padding_position=”all” background_color_opacity=”1″ background_hover_color_opacity=”1″ width=”1/1″ tablet_text_alignment=”default” phone_text_alignment=”default”][vc_column_text]The Sports Diploma Program is a unique program of advanced study designed for sport professionals and practitioners who have had extensive experience in sport. Students may pursue a Sports Diploma in Sports Management or Sports Coaching. The Sports Diploma Program uses an applied approach that includes 4 courses (in addition to the 6 courses in the certification programs), a mentorship (200 contact-hours), and a project paper detailing the mentorship experience. This program is ideal for those who desire a more in-depth perspective into a particular area of sport. Sports Diploma Program in Sports Management provides students opportunities to further their knowledge base in the sport-related areas of business, administration, personnel management, marketing, public relations and facility management/program development. Sports Diploma Program in Sports Coaching provides students with the knowledge and skills to help them succeed in coaching at all levels of sport. Upon completion of the ten courses, students are required to register for CPT 598 Mentorship.  Each certification program consists of 6 courses; students must complete at least 4 courses of a certification program prior to starting the Sports Diploma Program. (Please note that all 6 courses must be completed before students begin their mentorship). Students must also declare their intention of participating in the Sports Diploma Program upon registering for a certification Program. The Mentorship program included in the Sports Diploma program is a professional field-experience under the guidance of an approved mentor. The program is designed to meet the specific needs and interests of students with regards to certain learning objectives. During the required 200 hours of activity, students are involved in developing programs, planning strategies and organizing tactics to meet objectives in chosen sport-related professions. When students are ready to begin their mentorship, they will receive a copy of the Academy Sports Diploma Mentorship Handbook. Students must provide mentors with weekly, monthly and final-project journal reports. At the end of the mentorship, the mentor will give each student a final evaluation. To register online, visit our Learning Management System and select the desired course to complete your registration. If you would rather register by phone, call the Continuing Education office at (800) 223-2668 ext. 7162.